This updated one-bedroom direct oceanfront condo has a full ocean view and a private walkway to the beach. It is ideal for singles, couples, or small families seeking a great escape to the beach. A clean, compact kitchen has all the appliances needed to prepare a full meal or quick beach picnic. The newly renovated bathroom offers a large marble-tiled shower and matching vanity with storage space for personal items. A new queen bed and a sleeper sofa allow for versatile sleeping arrangements. There’s sure to be competition for taking an afternoon snooze in the new electric recliner! Other amenities include a Keurig coffee maker – enjoy fresh brew while taking in the spectacular sunrise view. There are two flat screen TVs with expanded cable to include HBO, DVD players, Wi-Fi. Central air and heat and a ceiling fan keep you comfortable year around. Convenient full-linen service for bed and bath lightens your packing load! 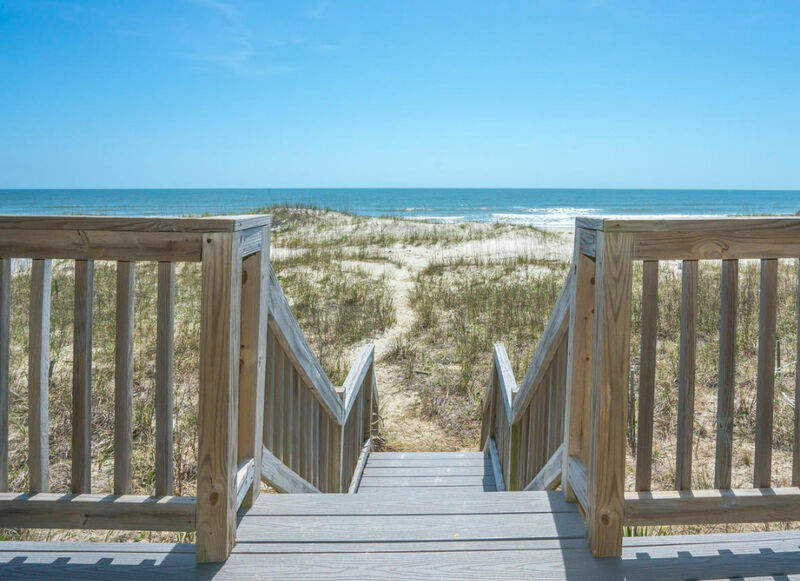 Check-in is a breeze with the new keyless entry with a personal code created just for your stay – no keys to get at the rental office and no worries about losing them in the sand. This smoke-free, pet-free unit is part of a well-kept, professionally landscaped six-condo building. There’s an oversized shared gazebo, sundeck and outside shower, plus separate beach access for guests. Each condo has ample designated parking for two cars. The condo is less than ½ mile to the pier and center of the island for morning coffee & muffins or anytime ice cream treats. Other shops, amusements and casual restaurants are nearby. Book your sun-drenched retreat now in this light, cheerful condo. Treat yourself to an escape from the worst of winter or any off-season break and ask about long-term rental opportunities. Very tasteful furnishings and décor... would be nice to have better parking in the future. Will be back.